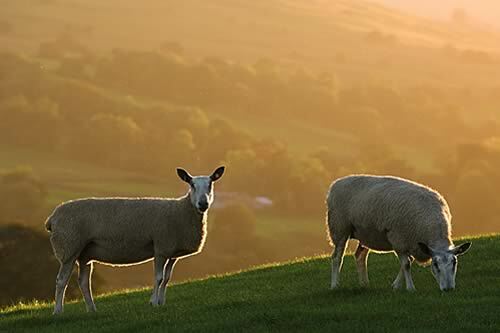 The National Sheep Association (NSA) welcomes the concept of new meat labelling laws that differentiate between animals that are stunned at slaughter and those that are not. It urges Farming Minister George Eustice and his colleagues to progress the idea with caution, to ensure all implications are fully understood. Phil Stocker, NSA Chief Executive, says: “NSA fully recognises the importance of the ethnic market to sheep farmers and we agree that, although not ideal, it is unrealistic to think we could ban non-stun slaughter. Around 85% of halal slaughtering is already pre-stunned and there is very little ‘leakage’ of non-stun product into mainstream markets, but given the level of confusion among consumers, it is right that labelling of non-stun meat is considered. “However, it should be remembered that there are a number of farm assurance schemes and labels that already prohibit the use of their logos on non-stunned products, including Red Tractor Assurance, Soil Association Organic and Freedom Foods, and any development of non-stun information should be done in partnership with these organisations to avoid overcomplicating labels. “Carcase balance for non-stunned products will be the challenge and the wider outstanding issue of effective labelling in wholesale and catering markets needs to be tackled at the same time to protect the integrity of our sheep farmers and their high quality products.